This is the third novel about Dublin DI Jo Birmingham, who is about to be promoted to Chief Superintendent in a new department outside the city. Someone phones the police with the information that there is a woman's body in the mountains - right in the middle of Jo's new jurisdiction. The locale is called "the vanishing triangle" because, ten years ago, several young women disappeared there. The person or people responsible were never caught. There are turf wars between Jo's team and the outgoing Chief Super and colleagues, but Jo insists on running the investigation because she'll be taking over in a few days when he retires. The atmosphere is not happy, with leaks to the press and other difficulties in keeping the police work on-track. Soon, however, it transpires that the body is not one of the earlier victims but is a middle-aged solicitor who vanished after a date with a mysterious man in the city the previous weekend. The prime suspect in the original investigation was Derek Carpenter, a petty criminal who was the boyfriend, now husband, of Liz, the sister of one of the victims. Ten years on, Derek has gone straight. He and Liz have a son who has been diagnosed as autistic; Liz is obsessed with getting the boy a scholarship at a prestigious school (as he's very good at maths). Her life is crumbling around her as she struggles to make ends meet - the family house is in negative equity, she gave up her job to look after their son, then Derek's building business failed so he is working for a low wage in an abattoir, and now Liz has reason to suspect he's having an affair. The reader knows that things are even worse than that, as Derek has in fact lost his job, and the woman with whom he was associating is the woman whose body has been found in the mountains. Although the set-up of this novel is good and it is a racy read, I parted company with it at this point. Jo Birmingham is an attractive, competent character but is very wet, both at work (for someone of her seniority) and in her personal life - her on-off husband led the original investigation into the missing girls, but did he do a good job? Liz's behaviour is incomprehensible, as she covers up for Derek in various ways to maintain a respectable facade to increase her son's chances of the scholarship, even though it increasingly seems to her as if Derek is likely to be the killer of her sister. There are other uncomfortable aspects to the book, for example a running, somewhat clunky theme about the illegal behaviour of the tabloid press directly inspired by an actual case, that of Milly Dowler's disappearance (along with other recognisable real-life examples of hacking), which some readers may find tasteless. The plot becomes less believable as more revelations and events occur - together with a "tacked on" cliffhanger at the end. Although this novel has energy and pace, I found there to be too many disparate elements (and twists) that did not seem to hold together in a logical way, or to be carefully constructed. Yet it is an exciting combination of police procedural and thriller, very easy to read, and will pass the time readily enough - possibly more enjoyably for those who have read the earlier two books in the series, which I have not. 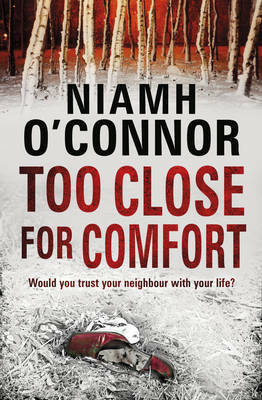 Read another review of TWO CLOSE FOR COMFORT.